Pool Liners Raritan, NJ specializes in pool liner installations and is the trusted resource for replacement inground swimming pool liners in Raritan, NJ. Our Pool Liner company services Raritan, NJ and Somerset county. Our company is the premier pool liner replacement and installation company in the New Jersey. Installing pool liners what we we do. We install approximately 600 swimming pool liners every year. As a result, we have become trained experts in installing pool liners. If you are in need of replacement pool liner installation, there is no need to search any further. We'll measure & install your new in ground pool liner in a fast and efficient manner. 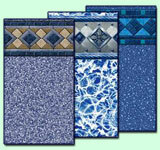 In addition, our pool liner prices are second to none in the industry. You only pay after the installation is completed. So, give us a call today at (908) 698-4897 or fill out our contact form to schedule a free estimate. As a swimming pool liner company, we take the time to consult with you and show you the process every step of the way. We will not only give you $500 off the price of the liner but you won't pay until the job is complete! We are Raritan NJ's biggest and most affordable swimming pool liner contractor. If you have an inground pool liner, whether you are in Raritan or Somerset county NJ, we are your swimming pool liner replacement specialist. Contact us now for the absolute best deal you will find on replacement pool liners and installation!